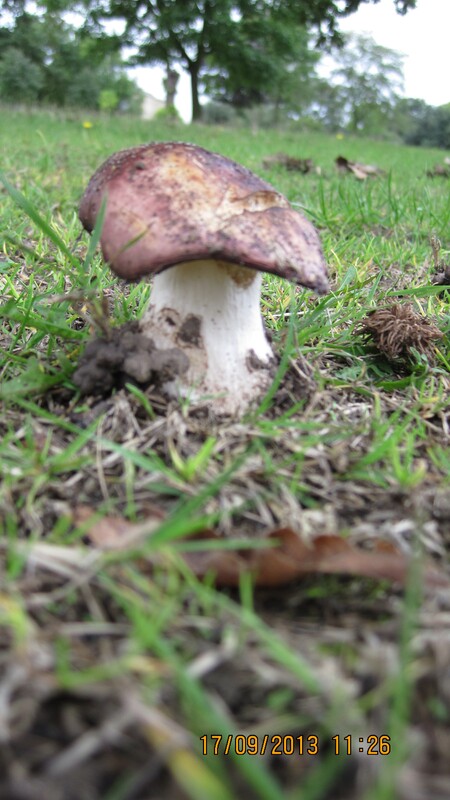 Purple Russulla, a rare fungi, has been found growing in Brockwell Park. The discovery was made by a longstanding Brockwell Park volunteer and confirmed by the South London Botanic Institute. Brockwell Park becomes the fourth British site where these fungi have been found. Samples have been sent to Kew Gardens for identification and collection. The fungi are symbiotic to the associated oaks that they are growing with. They are quite large and very beautiful with their striking purple heads. The exciting news comes as Brockwell Park gears up for Fungi weekend next month with leading experts – Saturday 26th and Sunday 27th October (times tbc).